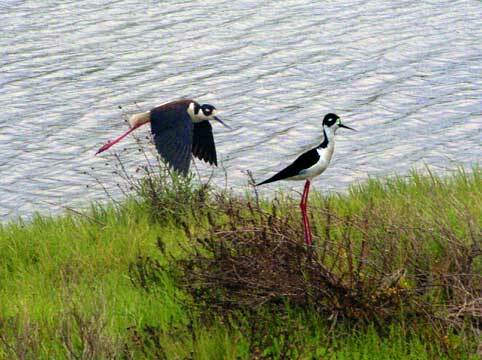 Bayland Birds - Stilts Shore When I move along the Stilts relax. I am grateful these birds started me photographing birds in flight. I use an Olypus 5050Zoom digital camera, with a 2X Tiffen telephoto lens, and shoot these at 1/1000 sec.